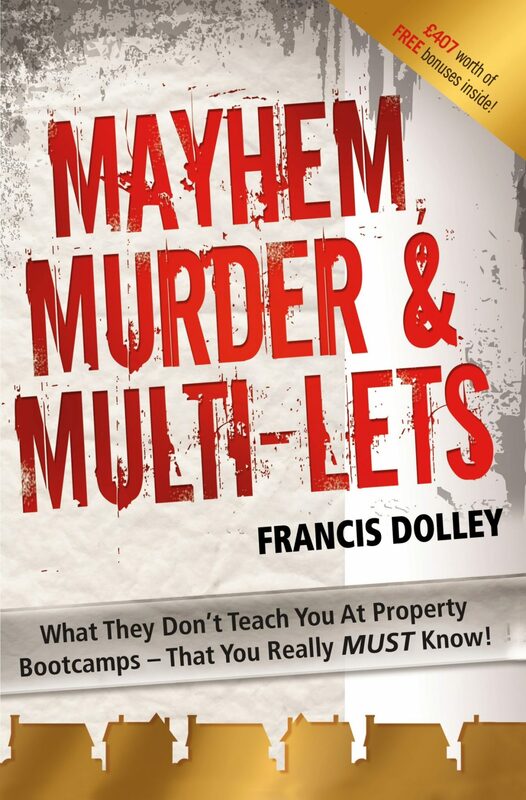 Mayhem, Murder and Multi-Lets is a book like no other! As in all things in life, property investing has a good side and a not so good side, and Francis reveals all in this warts-and-all account of his baptism of fire into property investing, right through to how he discovered this simple yet hugely effective system that enabled him and his family to become financially independent in 6 short months. It was a ‘system’ used by the secret underground world of property investors for many years, so they were not too pleased when Francis and Emily blew the whole thing wide open on a Wembley Stadium stage in front of an audience of a 1,000! *How to beat analysis paralyse and create strategic clarity. Forget the roadmap to success! Times have changed – grab this ‘Sat-Nav to success’ Book!